We are all aware of the innumerable benefits of a good night’s sleep. However, studies reveal that most adults do not get the required amount of shut-eye. There are many causes of insomnia, and most of them are indeed caused by ourselves and the surroundings of our sleep environment. This means that for those in control of our surroundings and habits leading up to bedtime, there is hope towards curing insomnia without drugs or having to visit the doctor. Luckily, there are time-tested sleep tips that help you to fall asleep quickly and get the good quality sleep that your body needs. Here we list out some of the best tips on how to cure insomnia naturally and effectively. Hopefully, we can help you sleep like a baby in no time. Have an alarm to go to bed. Unlike the early morning alarm, that makes us want to scream, this alarm can be soothing. Make sure you set an alarm on your mobile phone. As soon as it goes off, no matter what you are doing, make it a habit to hit the bed. Invest in the best mattress you can afford. Mattresses play a massive part in comfort and will no doubt make your sleeping experience easier and better. Take a look at our best mattresses of 2018 for more help on this. Do not drink alcohol right before bedtime. This makes you wake up often in the middle of the night and you may find it harder to go back to sleep. Drink warm milk or herbal tea before bed. This is a very soothing and relaxing practice that has been effective for many generations. Keep your bedroom dark. Switch off the mood lighting and sleep in a pitch dark room. Studies reveal that sleeping in total darkness helps your body to recover damaged cells quickly making you feel fresh in the morning. Do not overheat or freeze your bedroom. Adjust your thermostat to the right temperature so that you don’t feel too hot or too cold. According to sleep.org the best temperature for sleeping is between 60-67 degrees Fahrenheit, which is approximately 15-19 degrees Celsius. Paint your bedroom in soothing colours like blue, green and grey. Avoid bright colours like red that stimulates your senses making it harder for you to fall asleep. Listen to calming music or read a book in bed. This can help you unwind and fall asleep faster. Have you ever felt sleepy whilst having a bath? If you’re suffering from regular insomnia at night, have a soak in a warm bubble bath or have a shower before bed. This is often a very effective method of relaxation which helps the body shut down ready for sleep. When you finally do get into bed, try not to overthink too much. In fact, why think at all? The bed is for sleeping, not thinking. Tonight is almost over, and tomorrow is another day. If you do need to schedule or plan anything for the day ahead, do so with plenty of time at hand before climbing into bed. 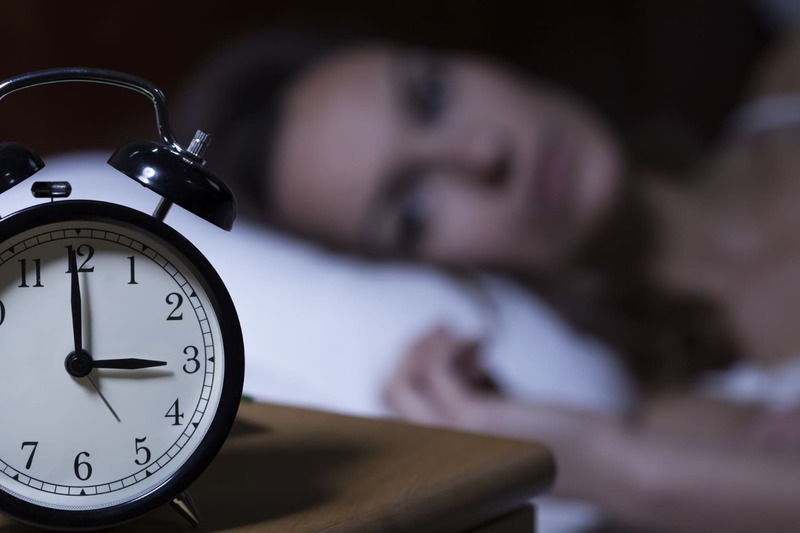 Curing insomnia is more than just falling asleep quicker at night. It is also essential to get good quality sleep at the same time. Follow the simple steps outlined above and start sleeping like a baby.